If you have a pet and are looking to rent a house in Killeen, TX, there are certain points that you need to be considerate about. Every landlord has various rules and restrictions when renting their home to pet owners. You need to make sure that you understand all the terms and conditions specified in the agreement. It is important to be proactive in your search for a pet-friendly rental home so that you are able to find the best home suiting your requirements. Browse through the Internet or sift through local newspapers to know about the available options. Inquire about pet rental: Most of the landlords charge additional rental fees in case you have pets. Some apartment communities also levy security deposit to cover any damage that the pet may cause to the rental property. Make sure you are aware about this expenses before signing the lease. Also check if the amount will be refunded when you move out. Question about any constraints: Check if the landlord has any restrictions on the type of pets allowed in the house. Certain dog breeds are considered to be more violent as compared to others and thus, are not preferred by many landlords. So, you need to be doubly sure about this aspect before signing the lease agreement. Communicate honestly: Make sure you are open and honest while communicating with the landlord. Convince him that you are a responsible pet owner and your pet will not cause any damage to the property. You may bring along letters of reference from previous landlords to reassure the landlord that he is making the right decision. Additional charges and separate pet policies: Some property owners require the tenants to pay additional charges for carpet cleaning and removal of pet odors. Apart from this, pet owners must follow the rules and regulations to ensure the safety of all those living in the neighborhood. Read the lease carefully to understand all the points clearly. People looking for a pet friendly rental home in Killeen, TX can contact Lone Star Realty & Property Management, Inc. for assistance. We offer an extensive listing of rental homes available in multiple locations across the city. For more information, feel free to call us at (254) 699 – 7003. Buying a home is a huge financial investment. 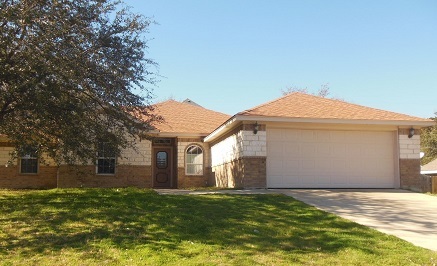 You need to research thoroughly to make a well-informed decision regarding purchasing a property in Killeen, TX. Whether you are a novice or an experienced buyer, you have to be careful during the entire process. Analyze your requirements: You should assess your requirements before beginning the search for a home. The size, type of property, number of bedrooms and other requirements should be analyzed before buying a house. Know your budget: Evaluate all the costs such as home maintenance, insurance, mortgage, real estate taxes etc. and chalk out your budget accordingly. Make sure you buy a house that falls within your predetermined price range. If you are planning to take a home loan, ascertain that you will be able to pay the monthly installments without burdening your pocket. Boost your credit score: Your credit score plays a crucial role in approval of a loan. You may easily get a home loan if you have paid all your debts on time and have a good credit rating. Check out the location: Check whether the house is situated in a good location with close proximity to workplace, schools, parks, malls and other amenities. Also make sure the neighborhood is safe and has a low crime rate. Save for down payments: You may consider limiting your expenses and starting to save for a few months depending upon the value of the house. It may help you to pay the down payment. Inspect the house: If you are buying a furnished house, a thorough inspection must be conducted to ensure all the electrical appliances are in working condition. Check the wiring as well as any plumbing issues and ask the seller to get them fixed. Understand the contract: Make sure you spend ample time to go through the clauses included in the agreement. It is important to clarify your doubts before signing the final deal. Seek professional assistance: You may even seek the help of a real estate agent for buying a home in Killeen. He may provide you complete guidance right from searching a home to closing the deal. We, at Lone Star Realty & Property Management, Inc., can help you find a suitable home in Killeen, TX. For more information, you can call at (254) 699 – 7003 or visit our office at 1020 W Jasper Drive, Killeen, TX 76542.